The book is made in three sections: section one about urban works; section two about participative artworks; and section three about Schein’s personal research such as drawings, paintings, photography. 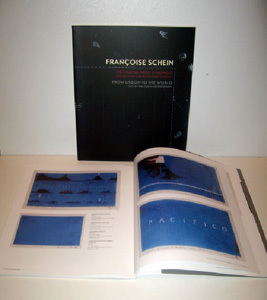 The book is crossed by a dialogue between the art historian Vincent Cartuyvels and Françoise Schein. The philosopher Jean Attali presents the conceptual foundations of the work of the artist. The introduction is by American writer Siri Hustvedt. The work of Françoise Schein, artist, architect and urbanist is simultaneously graphical and monumental. Since 1989, she inscribes the human rights onto the walls of cities: subway stations, underprivileged quarters, plazas or facades of cultural centers, from the old Europe to the New World and the Middle East. Cartographer, her work plays with notions such as borders, countries anchoring the peoples within History. Her work is also about writings: she uses charts about rights put at a distance, maps’ site names as landmarks for the traveler-readers and scattered aphorisms that give poetical breaths. 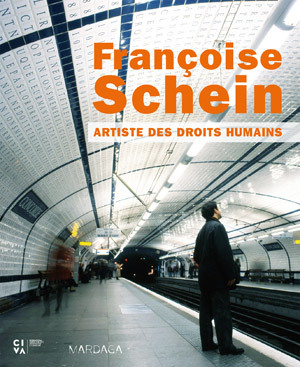 Her participative methodology which associates the inhabitants to the production of her work, makes Françoise Schein a unique artist: she is as much in the world of arts and architecture that in the world of philosophy and human rights. 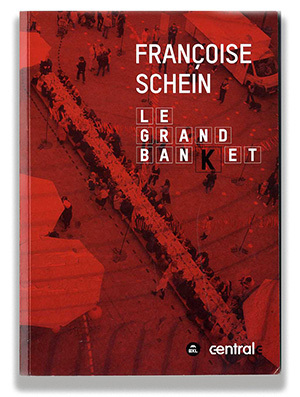 This book relates the production conditions in which this monumental table was created by Françoise Schein in Brussels. Comissionned by the Centrale for Contemporary Arts to celebrate its 10th anniversary, the Great Banket is the result of many encounters between the artist and the local inhabitants. They were all asked: “What does it means for you to eat together ?”. Each person painted his or her own answer in a plate combining an image and a sentence. Françoise Schein unified the 120 plates with a gigantic urban stomach digesting all these ideas ! Immediatelly afer its installation, the table has become a perennial public monument. 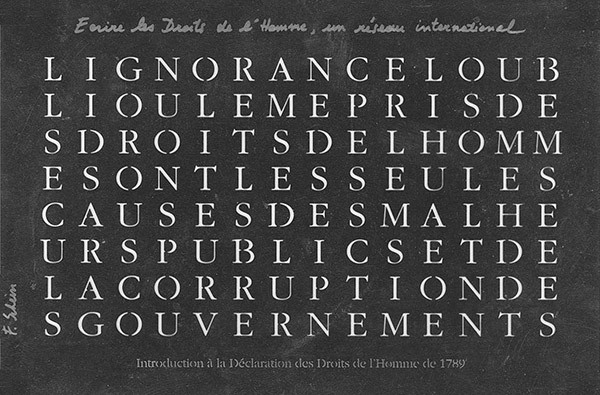 Stainless postcard with the text of the preamble of the French revolution of 1789. Which government would dare write this today ? 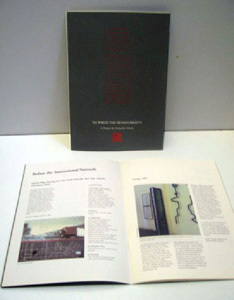 Artist book created by Françoise Schein in New York in 1992, shortly after having built her Concorde station in Paris. It presents the 1948 Human Rights texts in french and in english, but without space between the words and no ponctuation just like at the Concorde station. Small cardboard box covered with textile containing two cut-outs stainless steel postcards : one of the world and one with a sentence of the French Revolution. LIBERTÉ, ÉGALITÉ, JUSTICE, DIGNITÉ, FRATERNITÉ, SOLIDARITÉ, CITOYENNETÉ. The Publisher Bernard Chauveau presents a limited edition of tiles created by Françoise Schein at the Concorde station in Paris in 1989. 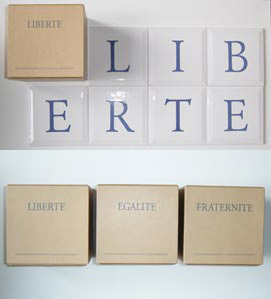 These words abtsracted from the Universal Declaration of the Human rights and the Chart of the European Fundamental Rights, are silkscreened on square tiles. What is called by the artist « a book » is made of one of the above word in sandstone tiles. Limited edition, each box is numbered and signed by the artist. Published by Joachim Ramminger and Dr.h.c.Helwig Hasselpflug this book is related to the Human Rights station in Berlin that Françoise Schein and philosopher Barbara Reiter built in 2000. This work presents a metaphot of the work and life of Heinrich Heine to the concept of disappearance. It includes several texts about the meaning of this action in Berlin by a French and German team. 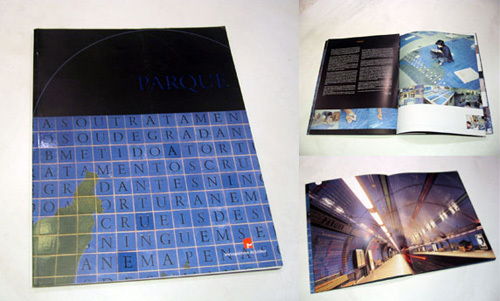 This book is presents the Parque station built by Françoise Schein in 1994 in Lisbon, Portugal. The artist created 450 000 azulejos, all painted by hand, that are articulating her vision- with the most objectivity- the questions of the human rights in a historical face face with the history of the portuguese discoveries around the world. Fifty monumental maps painted with 16 blues relate this adventure from the 13th century to the 16th century. Texts by the following intellectuals ponctuate the images of this huge entreprise. This very special book, published by Paris Tête d’Affiche à Paris en 1992, presents a project created by Françoise Schein about the 16 cities named Paris in the USA : a series of sixteen sculptures expresses her 16 visions of the american culture, a kaleidoscope that she able to invent after having lived 11 years in New York. Born in Brussels and now living in Paris, architect Françoise Schein has turned the Declaration of the Rights of Man the chief matter of her work, which can be seen on the walls of underground stations all over the world. Founder of association INSCRIRE, she has made works with the impoverished populations of Rio «favelas» and on the poor districts of several European cities. 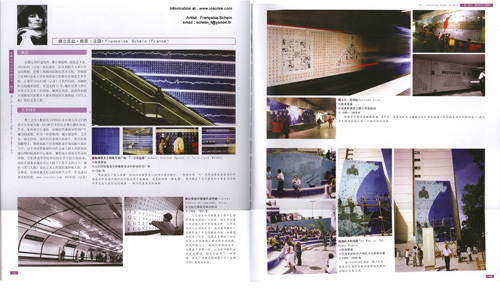 The book documents the projects, the research notebooks and the panels made for the underground station PARQUE, in Lisbon, which the author donated, in 2007, to Museu Nacional do Azulejo. 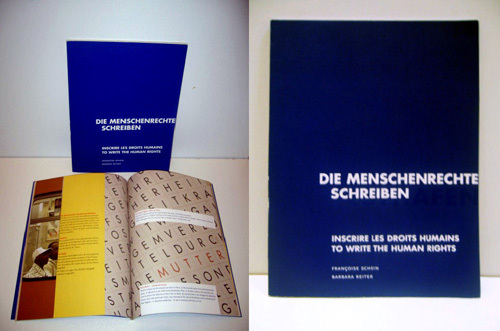 Small 12 pages book published at the time of Françoise Schein’s first station about Human Rights at Concorde in Paris. 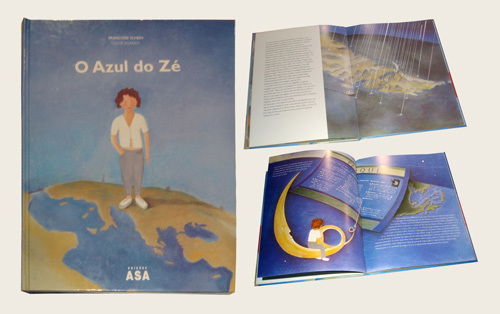 Published by Editions Asa à Porto, this book is dedicated to youngsters between 11 to 13 years. In 52 pages it tells the story of the boy Zé, who discovers the universe of the Lisbon Parque station and its 50 gigantic maps becoming real places as the moon travel within them with Zé. The text is by Chloé Siganos and the images by Françoise Schein. The chinese published book presente in 252 pages many major world contemporary artist who produced art in ceramics. Published by par Hunan Fine Arts Press at the ‘Central South University of Forestry and Technology’, in the Province de Hunan.